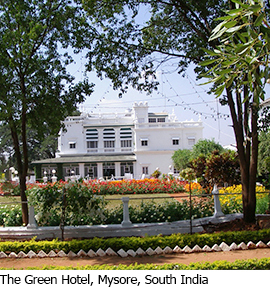 The award-winning Green Hotel, Mysore, South India. The Hotel was set up as a model of sustainable tourism by the Charities Advisory Trust, our parent charity. All profits are distributed to charitable and environmental projects in India. It’s a small Palace, with a garden block. 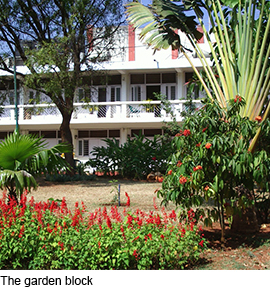 For the last 11 years our 2 acre garden has won the prize for the best garden in Mysore. The hotel has a small craft shop with a selection of goods made by National Award Winners, India’s leading craftsmen. Sarah Hazell is a knitting and crochet designer and author with a passion for colour. Her warm, encouraging teaching style inspires confidence in even the shyest. 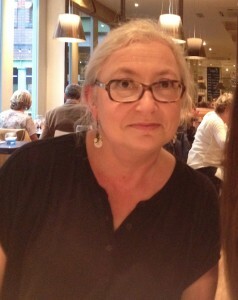 You can find out more about Sarah’s work and inspiration through sarah-hazell.com. Mysore is a charming town (RK Narayan’s Malgudi). 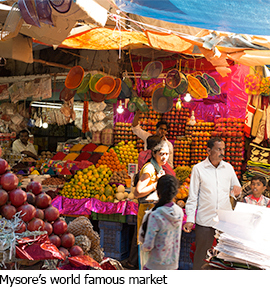 It still retains its old world charm – full of palaces, a world famous market, temples and Raj style buildings, bird sanctuary and nearby wildlife reserves. A more unusual opportunity is offered, you can if you wish visit projects the Green Hotel and Charities Advisory Trust (Knit for Peace’s parent charity) support, and teach the children from the orphanages and slums to finger knit. The nearest international airport is Bangalore (Bengaluru), which is 115 miles away from Mysore (by car). British Airways flies direct. We can arrange for you to be met off the BA flight. 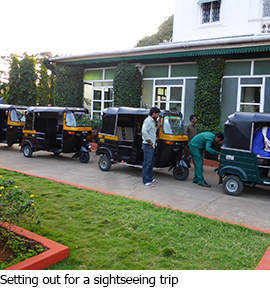 You can also travel from Bangalore to Mysore by train and we can meet you at Mysore station. The distance from the airport to the train station in Bangalore makes the option of being met by car possibly the easiest. And for those visiting India for the first time the struggle with the porters at Bangalore station fighting over who is going to carry your luggage is a bit daunting. If you would like to extend your stay at the Green Hotel, just let us know. 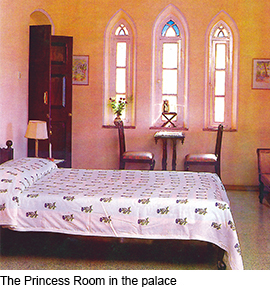 The hotel travel desk can arrange transport and accommodation (for those wishing to extend their stay, perhaps to the Kerala waterways, or ruins at Hampi or the textile and craft museums at Chennai (Madras and Pondicherry). Our previous Knit for Peace holidays at the Green Hotel were wonderful successes. You can read all about what we got up to in 2014 and 2015 on our blog. 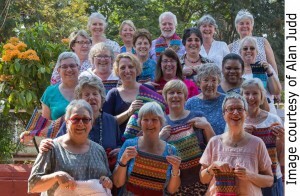 Check back here for up to date information about our knitting holidays, like us on Facebook, follow us on Twitter, or subscribe to our newsletter to hear about our future plans.